If you’ve lived in central Oklahoma for any length of time, you’re no doubt quite familiar with the B.C. Clark jingle which, for the uninitiated is on the same revered Christmas carol level as Silent Night and Jingle Bells in the Sooner State. However, there’s another B.C. Clark Christmas tradition which, while less well known than their jingle, packs every bit the marketing punch. When I was a young non-poet, we spent a lot of time at my maternal Grandmother‘s house (at least what seemed like a lot of time to a little kid). Much of that time was spent sitting at her cool, Art Deco kitchen table watching her make those special breads, cakes, and cookies that Grandmas make. In the corner of Mamaw’s breakfast nook there was a little, triangular china hutch with glass doors. 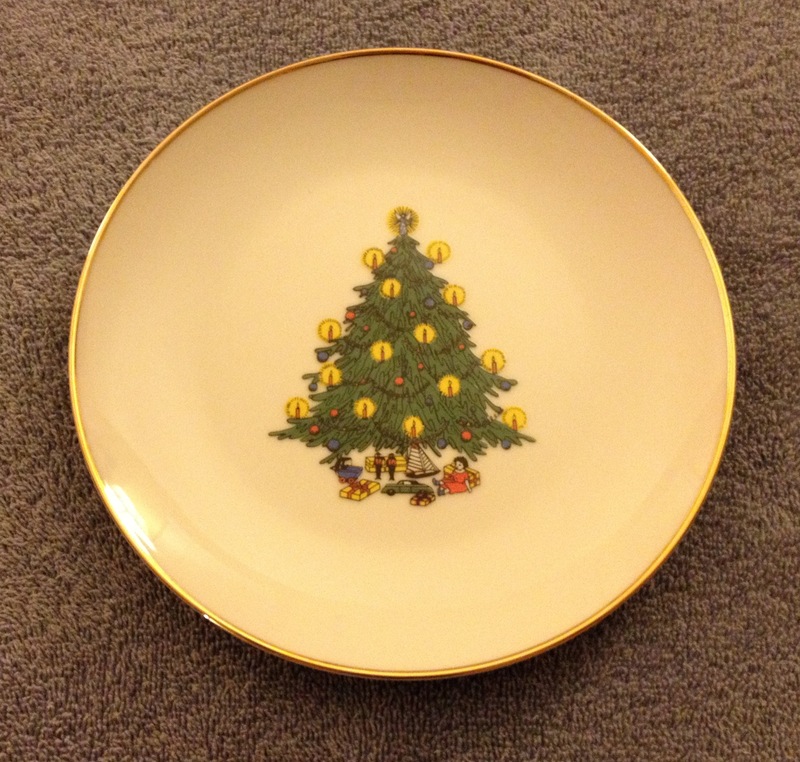 I don’t recall too much of what was in there, but the thing that always stood out to me was a Christmas plate (like the one pictured to the right), which she had displayed front and center, all year round. I never knew its background, but my impression was it must have been special to Mamaw if she displayed it with such pride. Fast forward 20 or 25 years to my Mom letting my wife rifle through her china cabinet and what do we see? Not just one, but an entire stack of Christmas plates just like the one my Grandmother had displayed so proudly for so long. In an instant I was flooded with all those warm memories of time spent in Mamaw’s kitchen. My Mom told us they came from B.C. Clark and, before I knew it, she handed them to my Christmas-crazy wife. Right then, a new Christmas dessert plate tradition was born at our house. For me, that bond is the plate that takes me back to my Grandmother’s kitchen. And, according to Mitchell, many other people appreciate those plates as part of their family’s Christmas tradition too. So what do all of those traditions and memories have in common? That B.C. Clark Christmas plate makes an emotional connection with their customer. Just as their jingle means “Christmas” to many folks, that simple, traditional little marketing tool of giving away a plate every year makes a connection with their customers deeper than any Facebook Like, banner ad, or direct mail card could ever hope to achieve. Yes, it’s likely expensive, but it also brings customers into their stores, raises their public profile, and enhances their brand’s image. What else does an emotional connection do for your marketing? Simple. As Mitchell said, it makes a bond with your customer. It makes a deep impression with your target audience and keeps your name top of mind when they’re ready to buy. It helps people identify with your company and they then become ambassadors for your brand. They tell their family and friends. Your brand becomes a part of their life. For me, that emotional connection that started with my Grandmother will grow even stronger this holiday season, as my wife picked up our first, non-inherited B.C. Clark Christmas plate a couple weeks ago and, as I write this, my seven year old is singing the company’s jingle as he plays in the hall outside my office. Many thanks to Mitchell Clark for his assistance with this post and for sharing the story of the B.C. Clark Christmas plate tradition!